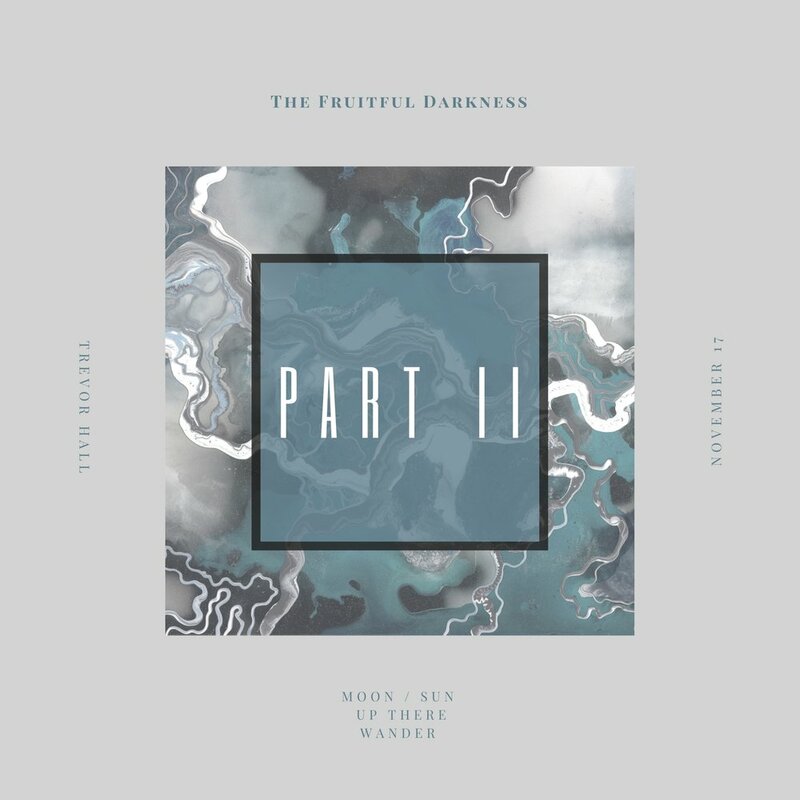 It is with great excitement that I reveal Part II of my new album, THE FRUITFUL DARKNESS. These three new tracks (MOON/SUN + UP THERE + WANDER) are each their own unique vessels of sound, space and meditation. I believe that they reflect the expanding exploration of my sound as an artist, as well as the freedom of creativity that I have felt throughout this entire process. I hope that you enjoy them, and I can't wait to share them with you live & in-person. Thank you all so much for your love and support.